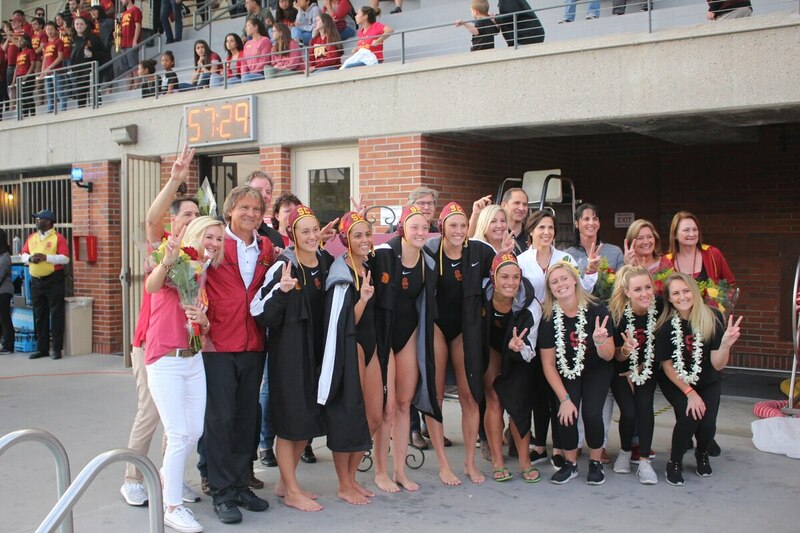 Fresh off a national title, USC women's water polo looks to continue their dominance in the 2019 season. The USC women's water polo team returns to the pool this spring looking to defend their 2018 NCAA championship. Last May, the Women of Troy captured their fifth national title and second since 2016 in a thriller over Stanford. The team returns senior goalie Amanda Longan and junior utility player Maud Megens. Longan won the Peter J. Cutino Award, the most prestigious award in women's collegiate water polo. She became the eighth woman in USC's history to win the award. Drivers Paige Hauschild and Denise Mammolito join Longan and Megens as returning leaders and All-American selections. Along with all the returning players from the 2018 squad, the team will be welcoming three international freshmen this month. Alejandra Aznar and Mireia Guiral hail from Spain and Tilly Kearns is making the long trip from Australia. The trio round out a very impressive 2019 class that also includes Erin Tharpe, Sophia Lucas, Grace Tehaney and Bayley Weber, who all signed back in November 2017. They all hope to provide an immediate impact for the team. Head Coach Jovan Vavic should feel confident his team can build off of last season's 26-1 finish, which included a perfect 10-0 record at home and a 16-game win streak to conclude the season. Vavic is perhaps the most decorated and accomplished water polo coach in the country. He has 14 national titles with the Trojans, nine with the men's team and five with the women's and is a 13-time National Coach of the Year award winner. The Women of Troy open their season on Friday in the Gaucho Invitational in Santa Barbara where they will face California Baptist, Azusa Pacific, Michigan, Fresno State, UC San Diego and Indiana. Indiana, California Baptist, Michigan and UC San Diego all spent time ranked in the Top 25 last season. 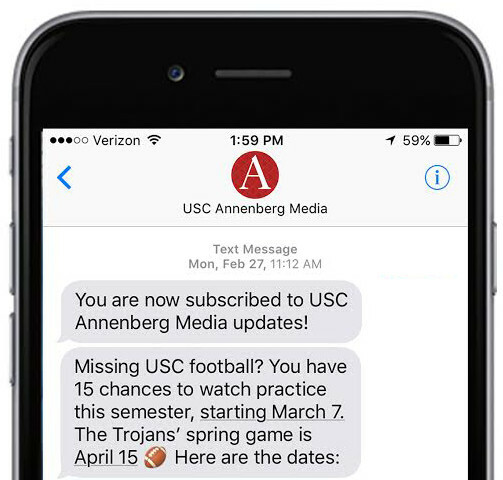 Continue to check back to the Annenberg Media website and social media platforms for coverage and updates on the defending national champions.